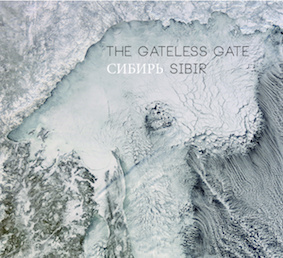 Sibir, the seventh Gateless Gate recording, is an ambient music exploration of the wild landscapes (and seascapes) of Siberia, from the southern hills of Buryatia to the high Arctic and under the waters of the icy ocean. Much of our music is inspired by wild places, whether it’s the nature of our native Canada, the steppes of Mongolia, a British meadow or the high Arctic. I have always had a fascination with the vastness and wildness of Siberia and wanted to see if I could capture the atmosphere of some of these places. Yakutia has recorded the coldest temperature in the Northern Hemisphere and is a place of great natural beauty. The mighty Yenisei is one of the world’s great rivers, while the southern area of Buryatia is one of the centres in Russia of Mongol culture. Uninhabited and isolated Wrangel Island is one of the most mysterious places in the Arctic. And the Sea of Okhotsk hugs Siberia’s far eastern shore, with thousands of kilometres of almost uninhabited coastline. These pieces are meant to evoke the beauty of such places and are delivered in an ambient music style influenced by early German kosmische music as well as later ambient musicians like Thom Brennan and Steve Roach. "‘Sibir’ is big to say the least. Epic, at times almost funereal in the elongated longing and patience that go with isolation, ‘Sibir’ feels like (as it should) it’s been standing watch for aeons. 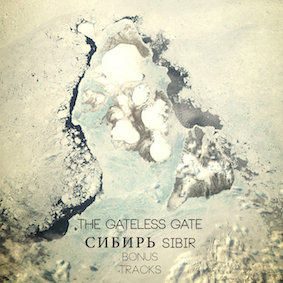 Befitting the mystery of Siberia, it’s beguiling that ‘Sibir’ feels both icy and glacial yet lush and verdant. Like its namesake, the album can’t escape from being tectonic in nature; the smallest shifts yield massive changes over time and attention." "...always utterly immersing and imposingly evocative ... authentically document the harsh grace of Siberian landscapes and all above-mentioned natural wonders ... With minimum expense I was taken to some of the most spectacular places on the Earth. Thus to all dronescaping adventurers out there, join the journey!!!" With too many tracks from these sessions to fit on a single CD, we have also provided three bonus tracks as “name your price” downloads via our own Bandcamp site; these tracks explore industrial, human landscapes as a supplement to the natural ones presented in the Offshoot release, including the terrible legacy of the gulag system, remnants of which dot the Siberian landscape, as well as the mining city of Norilsk and the Baikal-Amur Railway. These bonus tracks will be available only through Bandcamp.